PLUSCO 195 Premium Pipe Storage Compound is formulated using the most up to date high tech rust and corrosion inhibitors available today. This high tech package of inhibitors is found to be very effective under high humidity and moisture conditions. Thus reducing the risk of rust and pitting during extended storage. 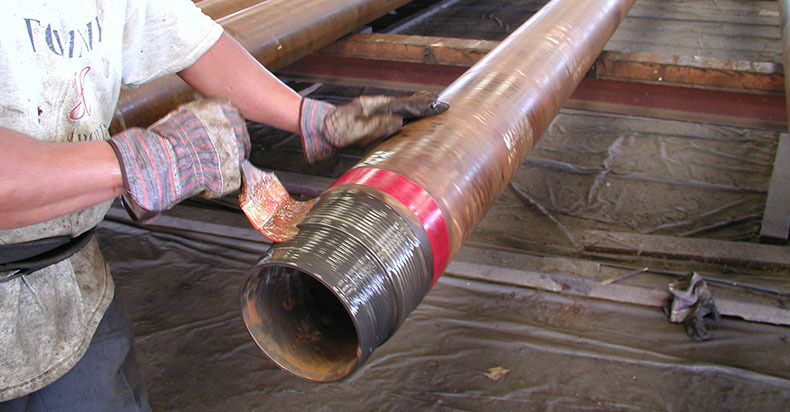 These high tech inhibitors provide a neutralization effect on the metal pipe surface, thus providing a new dimension in corrosion control. 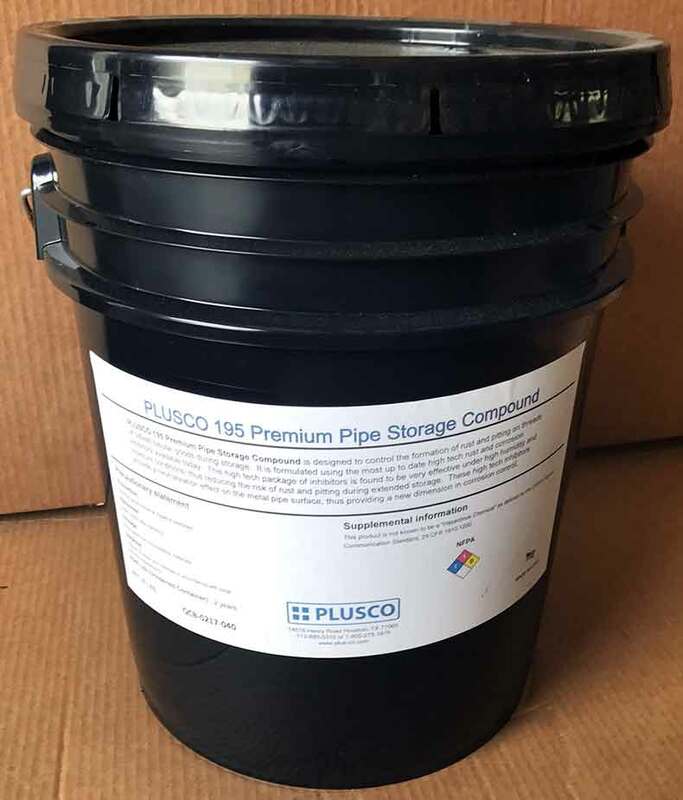 PLUSCO 195 Premium Pipe Storage Compound also contains anti-oxidants, which stabilize the corrosion inhibitors and further retards rust formation making it effective over an extended period of time. The golden translucent color of PLUSCO 195 Premium Pipe Storage Compound leaves pipe doped with PLUSCO 195 easily identifiable and has a self-healing effect. PLUSCO 195 Premium Pipe Storage Compound is designed to control the formation of rust and pitting on threads of oilfield tubular goods during storage.